GR1 takes 4 hours of labor to build — and that’s when it’s done efficiently by sewers who have spent months learning how to do it. We often get asked what machine spits GR1’s out. Before we got into manufacturing, I would have asked the same question. 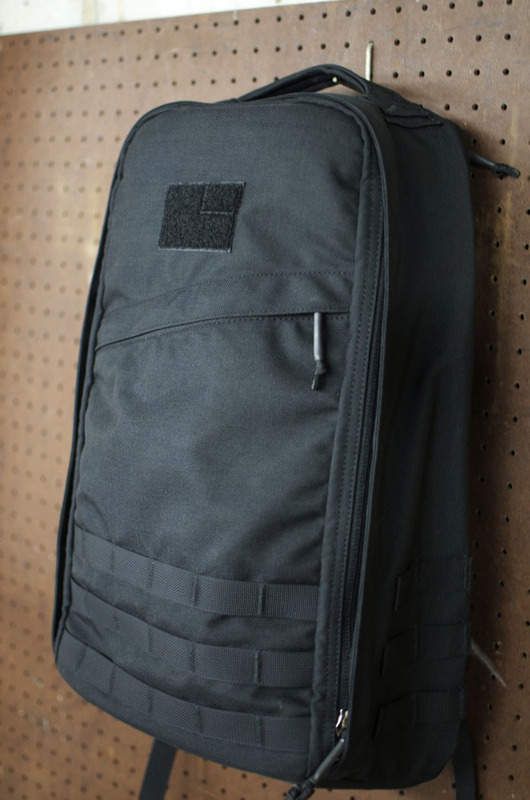 I also would have wanted to know why GR1’s — or anything else, even things of really high quality — cost so much. The truth is that there is no machine to spit them out, and American labor is really valuable, and it’s located in America, so we pay a lot for it. The process to build GR1's is long and drawn out, involving multiple machines and highly trained sewers. Machines, even when attached to computers, create nothing, and can be bought. Skilled labor must be developed over time and -- to create something of extraordinary quality, everyone involved has to put their heart and soul into it. 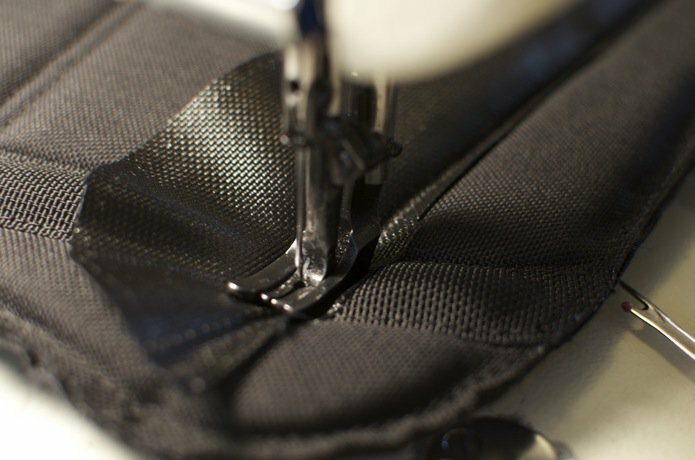 Every single piece, every component to a GR1 that is sewn to another piece, has its own pattern piece. Meaning that it must be marked, traced, and cut as its own pattern piece. Then it is systematically sewn to other pieces, in a specific order, in a specific way. 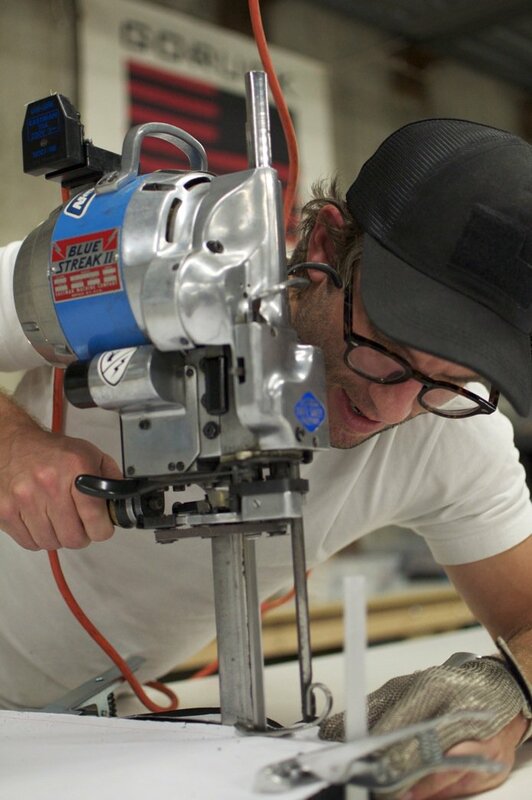 It's trial and error, and it's an art until it's a science. The art part took us 1.5 years with GR1, now it's science. 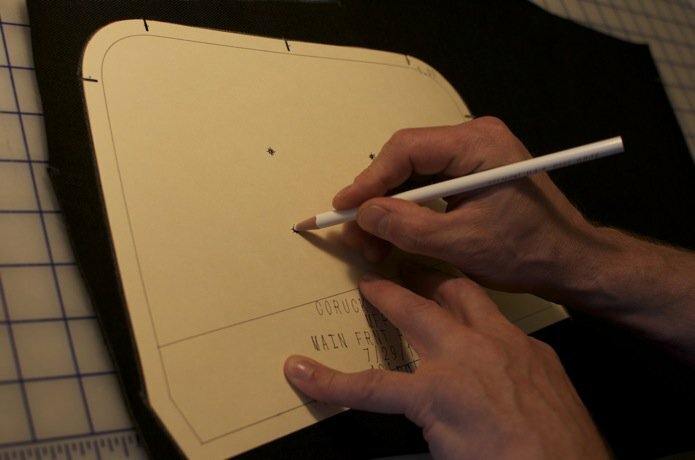 The pattern markers - a giant sheet that outlines every pattern piece -- are overlaid onto sheets of Cordura and we follow the lines with the saw. Carefully, of course. Pieces are then stacked and ordered, and assembly begins. As for the machines -- yes, they help, the Blue Streak II is ubiquitous at the factories I've visited, including GRWH, but it doesn't power itself, and it's only as good as its operator. Which is, of course, always the case. 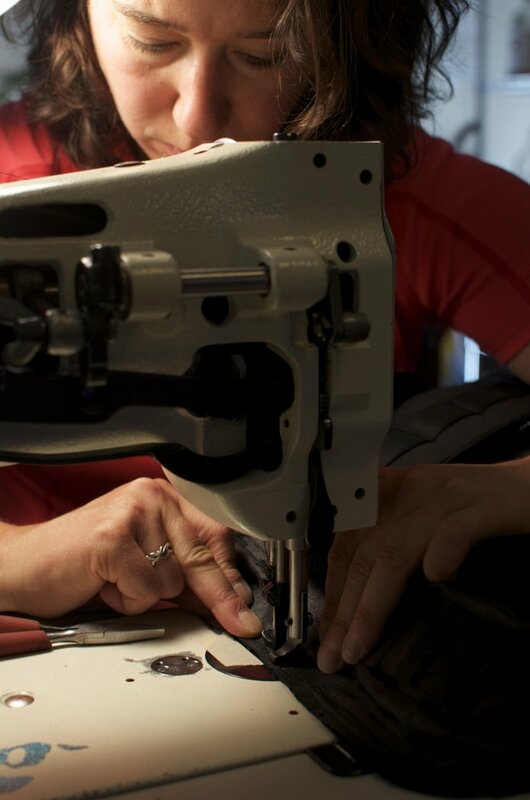 If you're ever under the impression that sewing is easy, or that it doesn't require physical strength, then you'd be in the same camp I was in before I saw the process with my own two eyes. When the day comes that we can offer tours -- I can't wait to see the same look of surprise as people see that it's a really difficult job to sew our gear really well. The bartacking -- a heavy cross stitch that looks like a row of zig-zags on the MOLLE webbing and at other high stress points -- requires a special machine and a lot of additional time, effort, and energy to ensure precision. Only our physically strongest sewers are given this task. You'll find lighters all over our factory. Very quick exposure to a flame is the only best way to ensure that the end of a row of stitching will not fray. Quick disclaimer: even our military-grade, best we can find materials are not fire resistant, and if you burn them, you will create a hole. For more on this, see our Scars lifetime guarantee. The straps are bartacked in (which allows them to withstand over 400lbs of pressure) and the ruck is sealed. 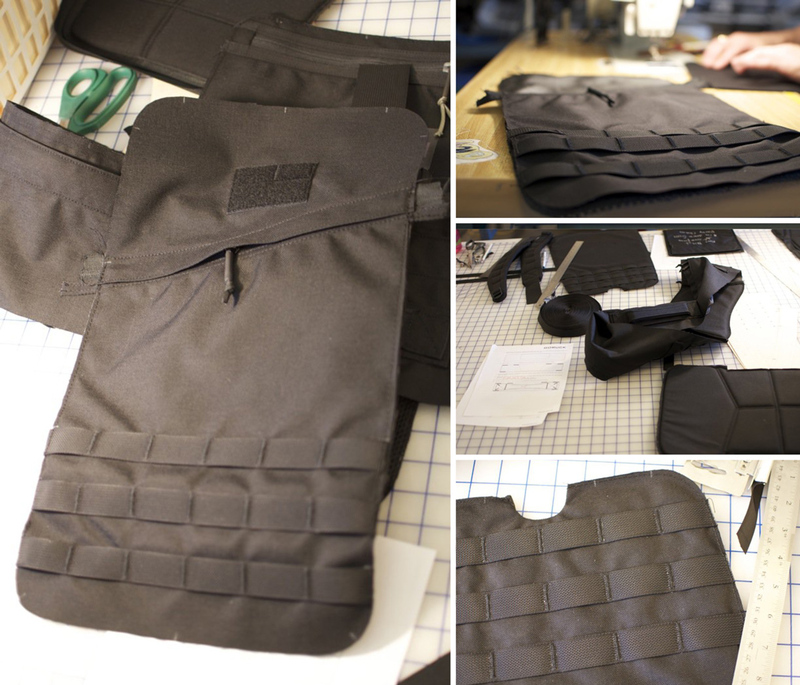 By the end, the process that is a labor of love has made one ruck, and there are many more to go. I never used to understand why some places thought they could charge so much money for things that, in theory, I could buy for less money elsewhere. Our hope, and our aim, is to say and to show that sometimes, you get what you pay for, and it's worth it.